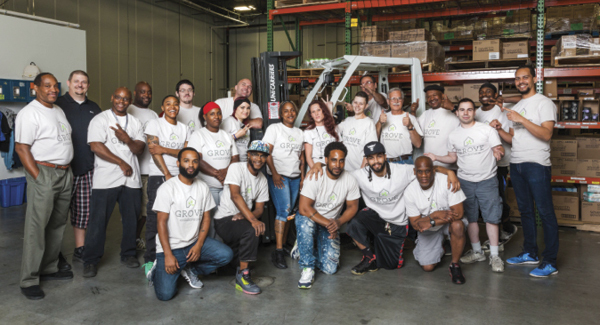 California-based e-tailer Grove Collaborative opened a second warehouse in Harrisburg, Pennsylvania, to reduce shipping costs and meet the demands of consumers who expect fast delivery. Thanks to a data analytics platform, Grove Collaborative's shipping costs wither while fulfillment efficiencies blossom. Grove Collaborative, an e-commerce company originally launched as ePantry in 2014, serves consumers who care about buying green and sustainable products for their homes, but who also want convenience and accessibility. Growing quickly because of eco-conscious decisions about product and customer demand, the company recently started to nurture its shipping data reporting tools as well. Online retail will grow 8 to 12 percent in 2017, up to three times higher than the growth rate of the wider industry, predicts a 2017 National Retail Federation forecast. With green products often priced higher than not-so-earth-friendly alternatives, shipping costs can put them out of reach for the average household budget. As a Certified B Corporation—recognized for its social and environmental impact—Grove Collaborative focuses on quality products, with affordability wrapped into a low- or no-cost shipping program.